When you have just finished tucking into a delicious meal with the family, there really is nothing worse than having to tackle a mountain of dirty dishes, right? And if you’re looking for a high performance AEG dishwasher that will make light work of your dishes, you have certainly landed in the right place. Our performance focused range of AEG dishwashers boast a huge choice of models that are perfectly equipped to meet the demands that come hand in hand with busy, everyday life. Boasting a number of top features including multiple place settings, optimum water consumption and exceptional energy efficiency, all of our AEG Dishwashers will allow you to achieve a flawless clean, whenever you load. 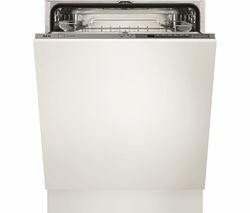 One of the most popular models featured within this collection is the AEG FSS62700P Full-size Integrated Dishwasher. 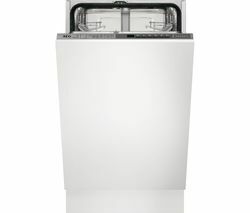 Featuring five spray levels for optimum cleaning results, AirDry technology which gives perfect drying results utilising natural air, an XXL interior that gives an additional 10 litres of capacity and SoftSpikes and SoftGrips which give delicate items complete stability during the cleaning cycle, this dishwasher is sure to become a welcomed addition to any kitchen or utility space. Available in a wide range of sizes and capacities, all of our dishwashers have also been expertly manufactured to optimise performance, durability and longevity, so you can rest assured that your new AEG dishwasher will not let you down when you need it the most. From slim-line to integrated models, you’re sure to find a dishwasher that will complement and enhance your existing kitchen décor. If you’re looking for a small and compact dishwasher or an integrated dishwasher that is ideal for saving space, make sure you check out our dishwasher range today. Of course, if you have any questions about any one of our AEG dishwashers, please do not hesitate to get in touch. Our friendly and helpful team is always on hand to answer any of your questions.